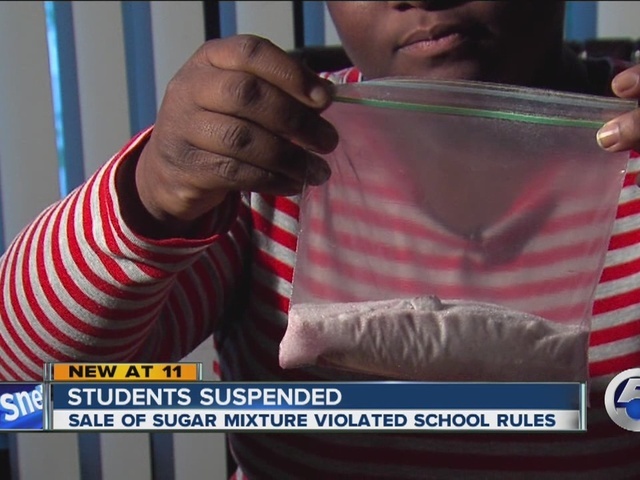 An Akron middle-schooler was suspended for five days on Wednesday after being caught by school officials buying “happy crack,” a mix of Kool-Aid and sugar. Iverson Sibley, 14, is an 8th-grader at Akros Middle School, a charter school in Akron. After Sibley was called into the head office, it became clear what she had in a Ziploc bag wasn’t crack or cocaine, as officials initially thought, but a mixture of Kool-Aid powder and sugar. She was slapped with a five-day suspension anyway. Her mother, Erika Yarborough, feels the punishment didn’t fit the crime. After speaking with the school's principal, Yarborough withdrew her daughter from the charter school and enrolled her back into Akron Public Schools. She will be starting at Buchtel High School Thursday. We were told several other students were suspended for a similar incident, but school officials said they would not comment on an ongoing investigation. Akros Middle School opened in 2010 to provide school choice to the parents in the Akron and surrounding areas. Many of our students have moved on to local private high schools and college preparatory schools to further their education. It is unfortunate that discipline issues interfere with the educational process; however, many of our parents are appreciative that our school is known for its safe learning environment. We will continue to hold our students with high expectations to prepare them for a successful future.